Another year, another chance for the Academy to overlook Leonardo DiCaprio for his role in a film. 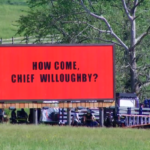 It’s become a bit of a joke at this point, as one of the nation’s most loved actors is continuously passed over, no matter how outlandish (Dijango Unchained) or brilliant (The Departed). 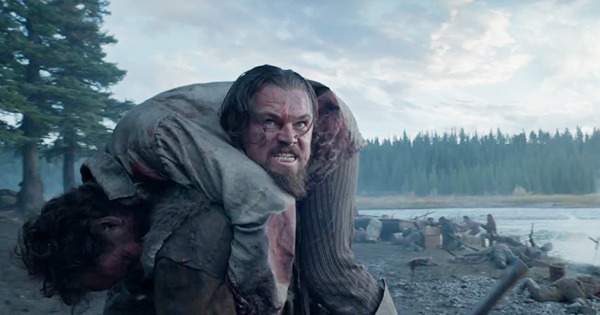 Personally, while I enjoy DiCaprio, none of his most recent efforts have moved me. However, I applaud the fact that no matter what, he tries and tries again, year after year. 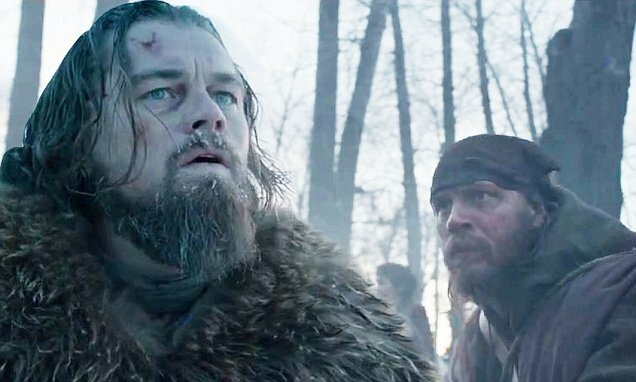 In 2015, something strange happened, something no one could have expected: DiCaprio got genuine Oscar buzz for his latest role in “The Revenant.” While both fans and DiCaprio himself are probably holding out their expectations until the Academy announces the nominees later on in January, this is definitely the most praise the actor has gotten of late. Let’s not forget that the director, Alejandro González Iñárritu, has a lot riding on this as well, especially since he went over budget and received many complaints from those who worked with him. With one Best Picture Oscar in the bag for last year’s Birdman, this is his chance to prove that he is much more than a one trick pony. So, will DiCaprio get the respect many think he deserves? Will Iñárritu win another Oscar? 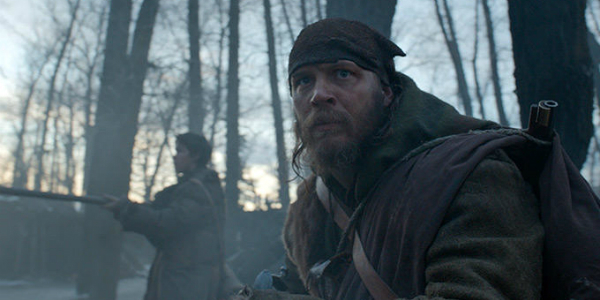 Should you even bother watching The Revenant? 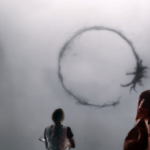 If you are still reading despite my long intro, let me cut to the chase and answer the above questions in order: Probably not; Maybe; Yes, but most likely not Best Picture; An enthusiastic yes, see this movie. If you haven’t read a synopsis of the plot, The Revenant can be conveniently summed up by a three minute segment where DiCaprio’s character, Hugh Glass, gets violently mauled by a bear, or by this alternate movie title that I created: “Leo DiCaprio and the Terrible, Horrible, No Good, Very Bad Year.” While it sounds like I am joking, Glass gets shot, mauled by a bear, abandoned by his crew in the harsh winter to die, and then makes the 200 mile trek back to civilization while being attacked by Native Americans along the way. That’s not even including a member of his crew by the name of Fitzgerald, played by the perfectly-cast Tom Hardy, who commits a heinous act in front of Glass’ incapacitated, bear-mauled body. With only his pure hatred and need for revenge keeping him alive, Glass has to survive the wilderness to take down the traitorous Fitzgerald. Since most of the hullabaloo for this movie is about DiCaprio’s acting, I’ll get it out of the way before I touch upon everything else: he did a competent job in the role, but nothing particularly worthy of an Oscar. On the other hand, Tom Hardy did an unbelievably good job as the villainous Fitzgerald, felt much more complex a character, and should be a shoo-in for Best Supporting Actor. The rest of the cast — featuring Domhnall Gleeson, continuing his lucky streak after his role of General Hux in December’s “Star Wars: The Force Awakens,” and a kid from “The Maze Runner” series — shows off some serious acting chops here as well. However, the real star deserving of all the Oscars ever would be the movie’s cinematographer, because holy crap, is the movie gorgeous! Nearly every scene from this movie, no matter if it was the brutal Native American attack at the beginning, or the quiet moments where Glass attempts to start a fire, could be framed and hung up in an art museum. The skyline seems to go on indefinitely, the white snow visually striking as it gradually gets muddier or bloodier. The action scenes that were largely filmed in one take only serve to make the movie all the more striking and will keep you on the edge of your seat. The biggest downside of the film is that, while all these things sound great on paper, they don’t really mesh well on the screen. While the imagery and music tried to seem like an artsier, deeper reflection on man’s relationship with nature, it made it very jarring when the movie cuts back to Glass channeling his inner Tarantino by murdering everything in his path, despite the absurd amount of injuries that he has. While this isn’t a huge detractor of the movie, it makes the final product feel very confused and inconsistent. 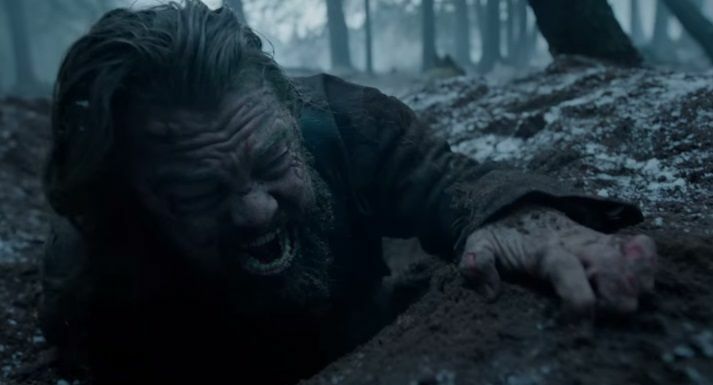 Despite its erratic tone and an outrageous runtime, The Revenant is still a very well-done movie that, while not quite up to taking the title for Best Picture, will serve as a good time at the theater in the cinematic graveyard of January. And while I personally didn’t like DiCaprio’s performance, I can’t help but root for him to finally get that Oscar. After all, every dog must have his day sooner or later.